The recent wide adoption of electronic medical records (EMRs) presents great opportunities and challenges for data mining. The EMR data are largely temporal, often noisy, irregular and high dimensional. This paper constructs a novel ordinal regression framework for predicting medical risk stratification from EMR. First, a conceptual view of EMR as a temporal image is constructed to extract a diverse set of features. Second, ordinal modeling is applied for predicting cumulative or progressive risk. The challenges are building a transparent predictive model that works with a large number of weakly predictive features, and at the same time, is stable against resampling variations. Our solution employs sparsity methods that are stabilized through domain-specific feature interaction networks. We introduces two indices that measure the model stability against data resampling. Feature networks are used to generate two multivariate Gaussian priors with sparse precision matrices (the Laplacian and Random Walk). We apply the framework on a large short-term suicide risk prediction problem and demonstrate that our methods outperform clinicians to a large margin, discover suicide risk factors that conform with mental health knowledge, and produce models with enhanced stability. We thank Ross Arblaster and Ann Larkins for helping data collections, Paul Cohen for providing management support for the project, Richard Harvey for risk stratification, Michael Berk and Richard Kennedy for valuable opinions and anonymous reviewers for helpful comments. Gulgezen G, Cataltepe Z, Yu L (2009) Stable and accurate feature selection. 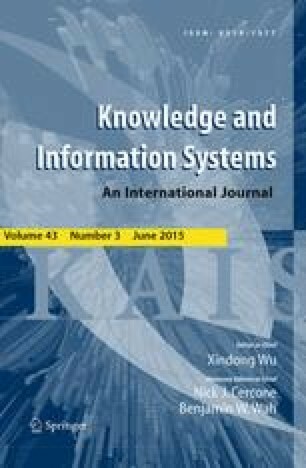 In: Machine learning and knowledge discovery in databases. Lecture Notes in Computer Science, vol 5781, Chap 47. Springer, pp 455–468. doi: 10.1007/978-3-642-04180-8_47.